Elephant Insurance is a relatively new insurance company. Launched in 2009, Elephant is a subsidiary of Admiral Group PLC which is one of the largest insurance companies in the United Kingdom. Elephant has its corporate headquarters in Richmond, Virginia. The company offers a full line of insurance products including auto, home, and property; however, Elephant's primary focus is auto insurance. Elephant currently writes auto insurance in just a handful of states: Texas, Tennessee, Virginia, Maryland, Illinois, and Indiana. Last year Elephant underwrote just over $200 million in premiums, almost all of which was for auto insurance. As a new player in the auto insurance world, Elephant still has a very small comparative market share so we have a fairly limited sample size when it comes to dealing with them on claims. That being said, Elephant is still one of the fastest growing insurance companies in the auto field and we are starting to run into them more frequently. In July 2018, Elephant announced that it passed the 200,000 insured vehicle milestone. The company is still in the early stages of growth and expansion mode. It has operated at a significant loss every year since it started, but each year they move closer and closer to profitability. Elephant Insurance follows a direct-to-consumer business model similar to companies like Progressive. They offer insurance directly to consumers, primarily through their website, instead of operating through agents like more traditional insurance carriers. So when you get an insurance policy with Elephant, you deal directly with Elephant and not with an insurance agent. This model allows them to offer more competitive rates for auto insurance compared to larger companies. Elephant is not a big player in Maryland. We initially did not think enough of Elephant Insurance to write about them. But our accident lawyers are seeing them more and more in recent years so they may be on the rise. Elephant is a new company with a very small market share, so the company's reputation for handling claims is not yet fully developed. However, early indications of how the company deals with an auto claim are not overly positive. Elephant has the largest market share in Texas. Texas Insurance Department reports that Elephant consistently has a consumer complaint rate 3 times higher than other companies. Elephant also has a very high incidence of negative consumer reviews with the Better Business Bureau - many of the negative comments related to the claims process. For instance, a number of online reviews and complaints reported that that claims adjusters at Elephant were non-responsive and uncooperative when it came to paying out on claims where their driver was clearly at fault. A similar trend of negative online reviews and comments about Elephant and its auto claims department can be found on other sites. Of course, negative online postings have to be taken with the appropriate perspective since most online reviews are usually negative. However, when compared to reviews from other insurance companies, the online reviews for Elephant are clearly skewed toward the negative. Other peculiar practices by Elephant's auto claims department have been noted by personal injury attorneys. Elephant Insurance's claims adjusters want Maryland lawyers after setting a case to sign a release and indemnification agreement in order to finalize the settlement. This is nonsense and arguably unethical for a Maryland lawyer to do. Elephant adjusters also sometimes want the client's social security number before making payment on a settlement. This too is not permissible. Are these things a big deal? No. But they underscore how difficult Elephant Insurance can be to deal with on personal injury claims. Elephant Verdicts & Settlements Stringfellow v. Elephant Insurance (Maryland 2014) $47,000: Plaintiff had auto insurance with Elephant. After suffering injuries in a hit and run accident, she made a claim for uninsured motorist benefits under her policy with Elephant. Elephant refused to pay the claim and she brought suit against them for breach of contract. A jury in Baltimore City found in favor of the plaintiff and awarded $47,000. Elephant Insurance v. Ahmad (Texas 2016) $14,300: In this case from Texas Elephant brought a subrogation claim against an at-fault driver to recover damages paid out to one of its insureds. The case settled prior to trial for $14,361. 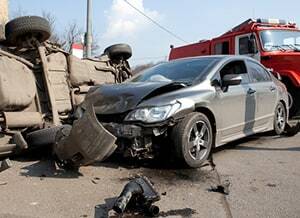 Hawkins v. Elephant Insurance (Texas 2016) $25,000: This is a claim for uninsured motorist benefits was made by one of Elephant's insureds after being injured in a multi-car pileup accident. Elephant allegedly refused to pay fair value on the claim and the insured sued them for breach of contract and violation of various Texas laws regarding insurance claims. Elephant initially disputed liability but eventually agreed to settle the case for $25,000. Esparza v. Combs (Texas 2015) $20,000: Elephant's insured driver caused an accident when he made a negligent left turn in front of the plaintiff's oncoming vehicle. Plaintiff, a child in a car seat, allegedly suffered a broken leg from the deployment of the airbag. Shortly after filing suit, Elephant agreed to settle the case for $20,000. Why are these verdicts so small? Elephant seems to write very small policies. When an insurance company has a small policy, they usually pay the policy limits long before a trial. You are better off looking at cases with similar injuries to yours if you are trying to figure out the full value of your claim. Elephant Insurance is a Delaware corporation headquartered in Glenn Allen, Virginia. Elephant is licensed and operating in Maryland as a foreign-state insurance company. If you need to serve Elephant Insurance directly in a Maryland case, you can serve the Maryland Insurance Commissioner. If you are bringing an action against a driver who is insured by Elephant you will need to serve the individual driver directly. Once the individual driver is served, Elephant will be obligated to step in and indemnify their insured. If you have been injured in an auto accident and need to pursue a claim against another driver who is insured by Elephant (or another insurance company), you should hire an experienced auto accident firm like Miller & Zois to help you bring your claim. Miller & Zois can help you get the maximum possible value for your injury claim. Call us at 800-553-8082.